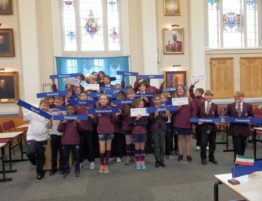 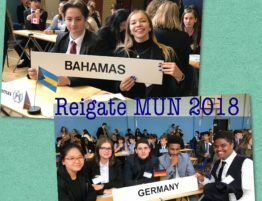 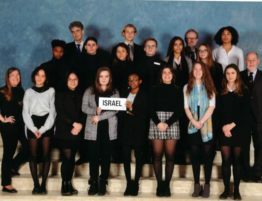 19 Royal Russell students are attending the 50th annual THIMUN conference this week which was opened on Monday by the King of the Netherlands (who, as a student, had attended the Royal Russell MUN conference back in 1982). 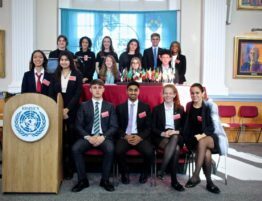 Our students, representing Ghana, have made a great start to the conference. 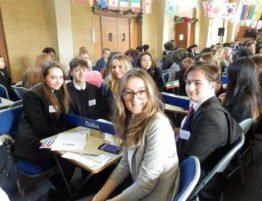 Alex, Megan, Farrah and Stevie all made excellent opening speeches in their committees and a number of students have managed to be the main submitters or 1st yield on resolutions that have been passed in Approvals. 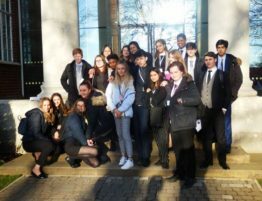 They are all hoping to get their resolution debated later in the week. 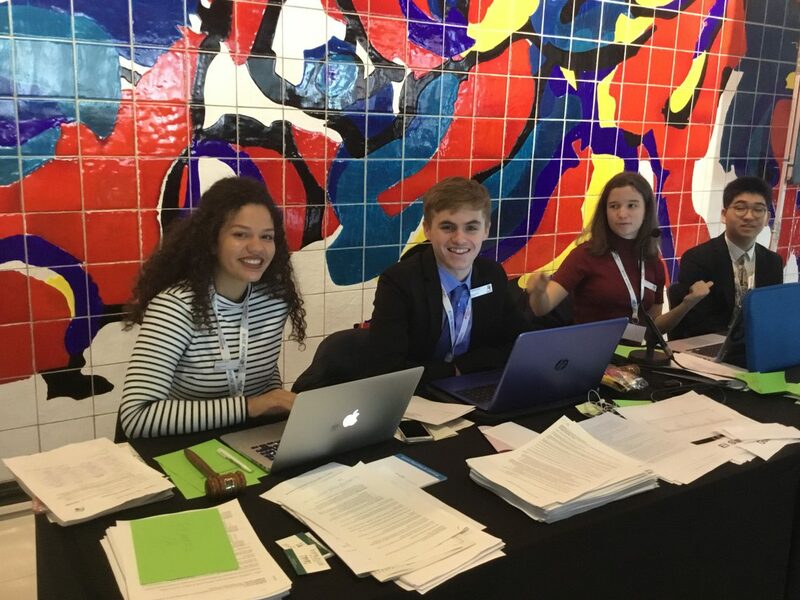 Lucas has made a great start as a chair of ECOSOC and our three members of the press team, Max, Peter and Claudia, have already contributed to three copies of the conference newspaper with articles and drawings. 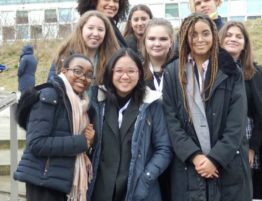 On Wednesday 12 students visited the International Criminal Court and watched a former child soldier give evidence as part of the trial of Dominic Ongwen a former commander in the Lord’s Resistance Army in Uganda.